The two spellings of the name both figure in the top ten adding up enough to beat Harry - made trendy by the roguish charm of the nation’s prince. The Office for National Statistics said 638 boys born in the West Midlands were called Mohammed - perhaps partly inspired by the Olympic success of British runner Mo Farah - while a further 557 were called Muhammad. The top three girls' names in the West Midlands, mirroring the national list, were Amelia - a runaway winner with a count of 746 - Olivia and Jessica. "Mohammed or Muhammad - it's the same name but spelled in different ways - is a very common name for boys in the Muslim world. Dr Ahmed, who advised Tony Blair on social cohesion and was awarded the CBE in 2008 for services to community relations added: "It's a way of people showing affection for the prophet, as well as showing unity amongst the community. I'm not a bit surprised at the survey. 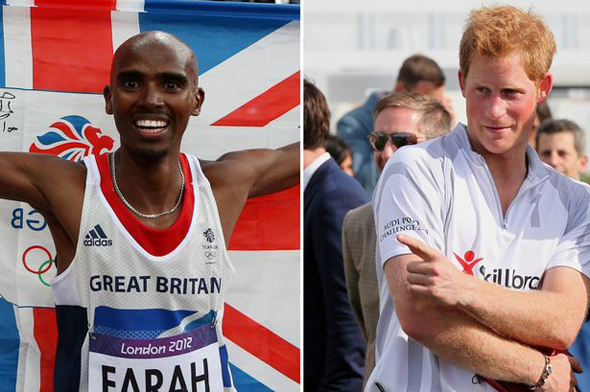 "I suppose people also identify with those who are high achievers like Mo Farah." Website Netmums founder Siobhan Freegard added: "Baby names are a fascinating snapshot of the country's culture and, while we're still wild about Harry and Amelia, this year's two biggest baby name trends are Edwardian-style names and posh becoming common. "Many mums are looking back into their family tree and selecting great-grandparents' names, while others are seeking names which would have seemed stuffy a decade ago but fit with the current retro vibe across the UK."